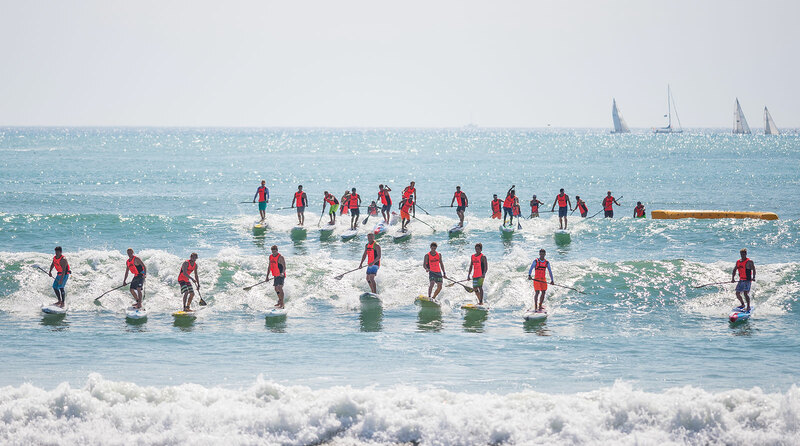 It’s taken us a few days to come down from the high that was D-Day at Doheny, but now that the dust has settled and dings have been repaired, it’s time to sign off on this amazing event by posting the full and final results from the 2015 Pacific Paddle Games. We all know by now that Connor Baxter and Candice Appleby reigned supreme in some of the craziest racing our humble little sport has ever seen, however now we can take a look at the complete and final standings. And we can also see big changes to the SUP Racer World Rankings. The Pacific Paddle Games scored 81.0% on the men’s Race Index and 63.0% on the women’s, making it the most competitive race of the past 12 months. That gave the top performers at the PPGs a big bag of points, and caused plenty of changes on the Top 100 and Top 50 Leaderboards. The biggest change is that Connor Baxter reclaims his world number one ranking, which he surrendered to Danny Ching at the Gorge seven weeks ago. Danny held onto the #1 spot for six weeks, with Travis Grant holding it for one week following the BOP-pocalypse. But now Connor is back on top, with Trav getting dropped to world number two and Danny treading water at #3. His win at Doheny becomes Connor’s best result of the past 12 months, but that wasn’t the only thing that elevated him back to the top of the world. The Starboard superstar has enjoyed a stellar year that includes a fourth-straight OluKai title (his fifth-best result of the past 12 months), a gold medal at the ISA Worlds (his fourth-best result), as well as a big win at Europe’s two most competitive races, the Lost Mills (his second best result) and Barcelona (his third best points haul from the past 12 months). Oh and he also won the overall Euro Tour title, just for good measure. Trav, who is only just behind Connor on points and who has arguably been the in-form paddler of 2015 after wins at Carolina and Molokai, can perhaps consider himself unlucky that we don’t have “protected events” on the world rankings, something we may introduce next year to correct the imbalance of low-scoring specialty events such as Molokai 2 Oahu. But no matter what, both Trav and Connor have had amazing seasons, and both clearly deserve to be at the pointy end of the field. Kai Lenny drops two spots after failing to pick up any meaningful points at the PPGs. Kai looked like the man to beat in the heats and semi-finals of the surf race, but crashed out of contention in the distance event before getting caught in the chaos of the surf race final. 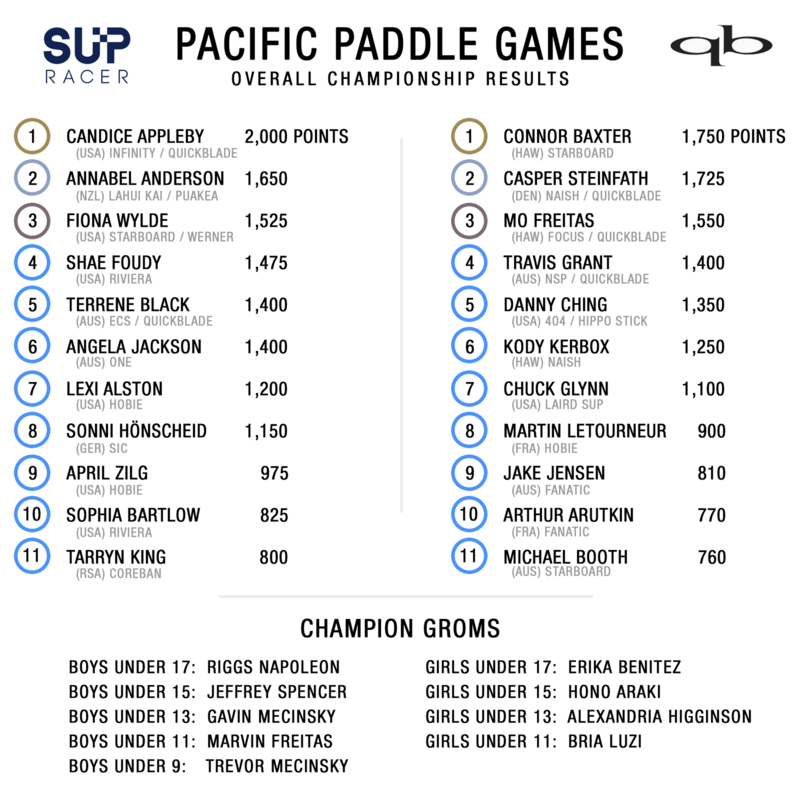 As this was the first ever Pacific Paddle Games, nobody was dropping any points from last year’s event (because it didn’t exist), which means every competitor either increased their total points or remained level. So Kai didn’t slide backwards in total points, however Danny and Connor earned enough to leapfrog him. 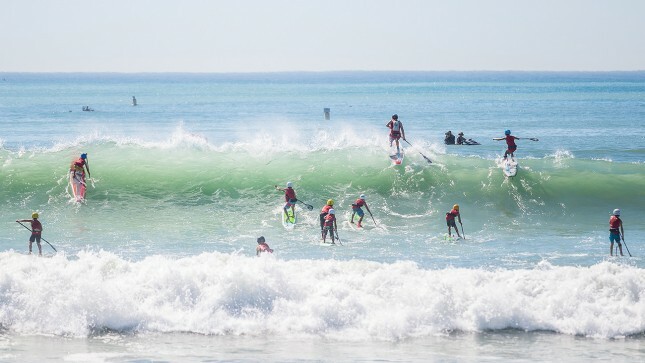 Another big move comes from Mo Freitas, whose heroics in the surf race final on Sunday afternoon earned him an overall podium finish (and a huge amount of respect from his fellow paddlers). That was enough to jump young Mo up into the world’s most exclusive club: The Top Five. Despite being three or four years the junior of the other young guns like Kai and Connor, Mo has clearly announced himself as one of the world’s absolute best all-round paddlers. I daresay we’ll be seeing the name “Freitas” on a lot more podiums in the coming years (oh and he’s got a charging little brother named Marvin, who took out the under 11s title at the PPGs, so we could be in for a real dynasty here). And Mo could have actually won the entire event if he stayed on his feet in the distance race. In extremely unchracteristic move, Mo fell of the wave right near the finish line that, if he’d held it to the beach, would have seen him battle for third place and a shot at the overall title. Though Mo will have to keep his good form running: Next week is the race at Turtle Bay, where he finished runner-up to Kai Lenny 12 months ago. It looks like this year’s race will be slightly less competitive than 2014, so Mo will have to win to avoid losing points. Mo’s elevation comes at the expense of Titouan Puyo, who had one of the most heartbreaking weekends imaginable. Titou got himself in a position to realistically win both races – he was leading the distance race early, won his semi-final in the course race and was sitting out front with Mo in the final – however a couple of tiny mistakes at critical moments sent him tumbling outside of the overall top 10 for the weekend. Titou now sits #6 on the world rankings, though I get the feeling he’ll never be much lower than that. This guy has such a flawlessly perfect technique that he could easily be world number one in a couple of years. Casper Steinfath, who went oh so close to winning the overall title at the PPGs, remains at world number seven but has greatly improved his position, increasing his overall points tally by 42.47. That puts the Danish Viking in a virtual tie with Titou and knocking on the door of the Top Five. Other big gainers include Kody Kerbox, who flew under the radar to finish a mighty impressive 6th place overall at Doheny. That result returns Kody to the Top 20. Another strong performance came from Chuck Glynn, who was in a clear second halfway through the surf race final and, despite a late fade that saw him finish 7th in that race, still picked up his best result of the year. Young Frenchman Martin Letourneur, who upstaged his more highly-fancied compatriots to finish 8th overall at Doheny, jumps seven spots. Martin is now ranked #25 in the world and looks on track to crack the Top 20 next season. Aussie dark horse Michael Booth surprised everyone in California (but nobody in Australia) by sitting next to Danny and Travis at the front of the distance race all the way until the final buoy. The sprint through the surf and up the beach didn’t favour Boothy, however he still finished 11th overall for the weekend. Despite holding just three results from the past 12 months (meaning he’s carrying 2x zero-point “donuts” in his best five), this guy is now ranked #37. Anyone that watched the distance race will know that the skies the limit for Boothy, who has successfully crossed over from the world of elite surf ski racing. Also in his favour are the Aussie Titles being held this week, which may just count for points and where Boothy is one of the favourites. On the women’s side there were plenty of changes as well, despite the PPGs scoring lower on the women’s Race Index (63.0%) than it did on the men’s (81.0%). We use a slightly different formula to calculate women’s events, taking into consideration that women’s races do, on average, attract a much smaller field of competitors. However it still came up a little short of the men’s score. But 63.0% still makes the PPGs the most competitive women’s race of the past 12 months, and the only event to peak above 50% this year (Carolina hit 48.0% back in April). This actually highlights a bit of a problem with the women’s side of our sport: Very rarely do we see a large field of competitors, and very rarely do the top athletes get to compete against each other. There could be numerous factors causing this, such as less sponsorship opportunities for women, but either way it’s hard to argue with the numbers: Elite women’s SUP racing is very small. There were just 24 elite women in the PPGs, yet amazingly that’s the second-highest turnout we’ve seen all year. Only the Carolina Cup with 34 participants was greater. A quick look at the results from the big races of 2015 shows that we rarely see more than a dozen women in an elite race. 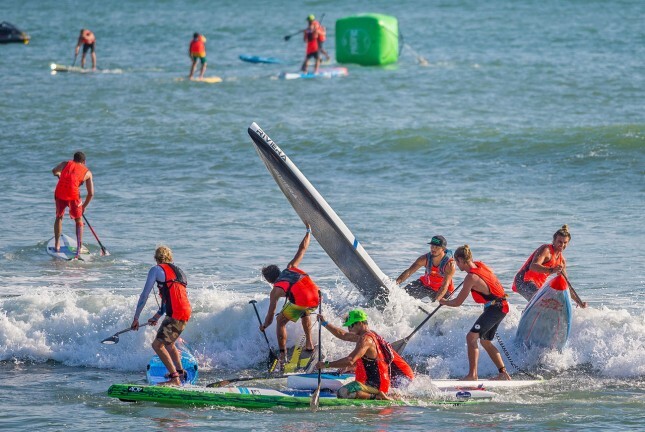 This could be one more reason to introduce the much talked about “protected events” feature to the SUP Racer World Rankings next year, which would guarantee a minimum Race Index score for certain races rather than waiting until after each event to see how much it was worth. 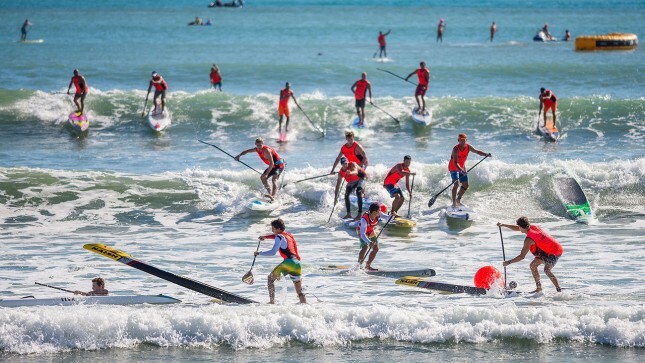 But anyway that’s an argument for another day though, let’s not get sidetracked from the amazing performances we saw at the Pacific Paddle Games. The undisputed champion of the event, Candice Appleby, makes the most significant move. Candice was ranked #4 in the world following last week’s BOP-pocalypse but now she’s back near the top of the table. Candice was in vintage form on the weekend, throwing the clock back to 2010 and 2011 when she was untouchable at Doheny. The 30-year-old set a mean pace in the distance race that very few could match, before using her surf skills to reel in, then overtake a fast-starting Annabel Anderson in the final of the surf race. Triumphing at the Pacific Paddle Games caps off a big year for the Infinity team rider, who won a pair of individual golds at the ISA Worlds back in May and who has swept the World Series all year. The only reason Candice isn’t ranked world number one by our algorithm is because all her other big wins this year (eg. the Worlds and the World Series) were against relatively shallow fields of competitors. It doesn’t mean her performances were any less impressive, or that she’s in anything but world-beating form right now, it just means that some of her wins weren’t worth as many points, mathematically speaking. On the flip side, despite losing to Candice at the big dance on the weekend, Annabel is holding solid points from claiming three of the other biggest races of the year – Carolina and the two Gorge races – which keeps her safe at the top. It’s also worth noting that Annabel, who had a terrible preparation for Doheny by only being allowed through U.S. customs 48 hours before the event, finished above Candice at the fifth biggest race of the year, the Payette River Games. But no matter what happens around her, if Candice continues her stellar form into the new year, and if we see her at the first big race of the year in Carolina, she may find herself on top of the rankings in 2016. It’s been interesting to see the Candice vs. Annabel rivalry continue. I thought it might have run its course last year, however the level of competition between these two seems to reach a new zenith with each big race. 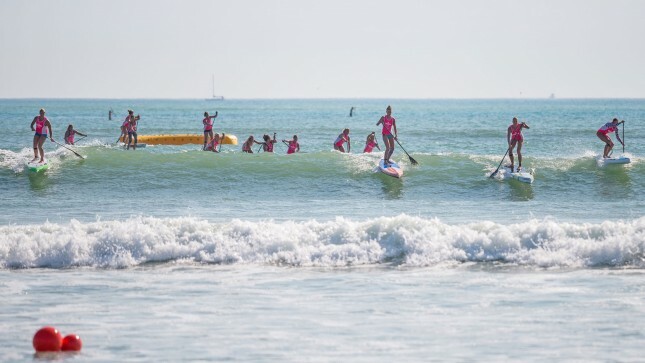 While neither of them wants to play it up, it certainly does add an interesting dynamic to the world of women’s SUP racing and makes their contests more entertaining to watch. 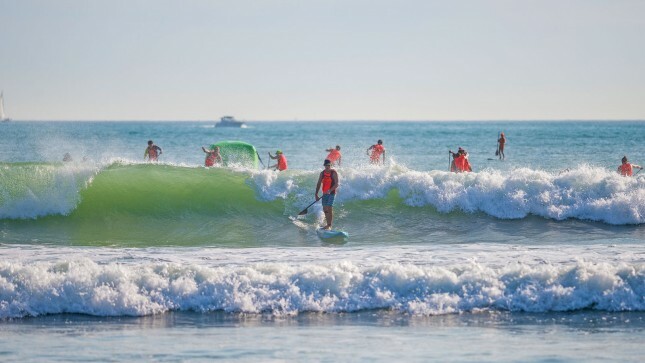 In much the same way the Kai/Connor rivalry has provided a subplot to the men’s side of the sport, Candice and Annabel continue to bring attention to the world of women’s SUP racing every time they go head to head. And considering the numbers we threw out earlier – about just how small the women’s sport has been this year – I think we need as many stories as we can get. Other gainers on the women’s Top 50 include East Coast #1 April Zilg, who fills her “five best results” quota and instantly jumps 10 spots to #13. Though one of the most impressive performances came from local girl Lexi Alston, who finished 7th in the distance and 7th in the surf race to claim, not surprisingly, 7th place overall. The most amazing part: Lexi is just 13 years old. Definitely a name to watch in the future. 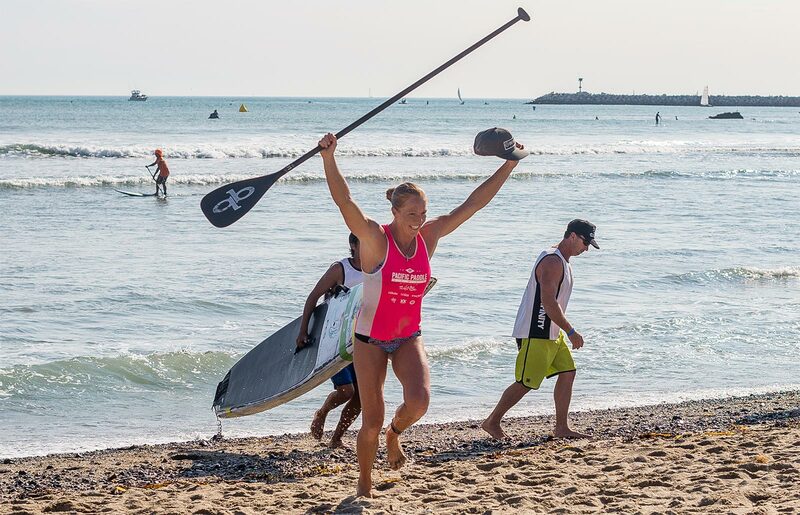 There are plenty of other movers on the leaderboard, so check out the complete SUP Racer World Rankings: Top 50 Women to see the latest. Results from the junior races, open races, prone races and manufacturer’s challenge can be found on the official event website.